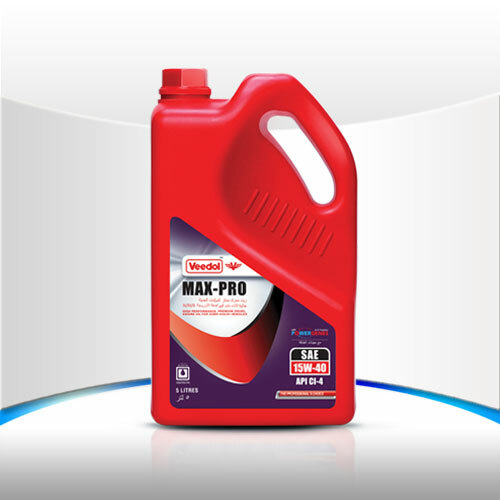 Veedol Max-pro is high performance diesel engine oil providing maximum protection to modern generation turbocharged/ supercharged automobile, heavy duty industrial and Off-Highway diesel engines. It can also be used for vehicles with petrol engines. Recommended for use in Cummins, Caterpillar, MAN, Komatsu, Volvo, Hino, Deutz, Toyota and other modern generation diesel engines. Suitable for use in diesel engines requiring API CI-4 & petrol engine requiring API SL lubricant performance. High Viscosity Index Oil retains outstanding fluidity at low temperature (sub zero) and high viscosity at high operating temperatures to completely eliminate metal to metal contact over wide operating conditions.